Situated on the banks of Currambene Creek surrounded by native Australian bushland, Paperbark Camp offers eco-conscious accommodation in beautiful Jervis Bay. 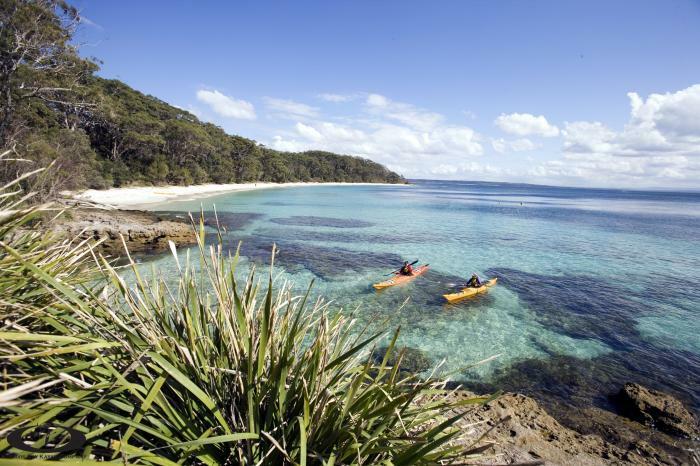 Just minutes from Huskisson and the Jervis Bay National Park, the camp offers a unique accommodation experience that combines the luxuries of life with the opportunity to get close to nature. The ideal base for exploring the local area, the camp offers a convenient range of onsite facilities and a great range of activities. Accommodation at Paperbark Camp offers a choice of 12 unique yet comfortable Original and Deluxe Safari Tents built on a timber platform off the ground. Enjoying a unique aspect and sea breeze, these safari-style tents features a furnished balcony or patio, premium bedding with cotton linens, complimentary WiFi and a private bathroom with separate shower. Paperbark Camp is also home to a convenient range of onsite facilities including a bar and restaurant, tour desk, laundry and dry cleaning services, business facilities and a range of non-motorised water sports and activities. Bike riding, bush walking, spotlighting, bird watching and canoeing are all popular activities within the camp and there is always a range of wildlife to spot including kangaroos and black cockatoos. 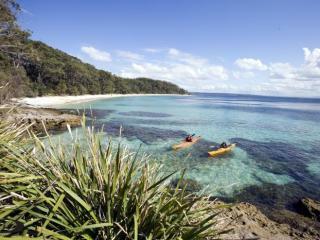 The camp is also close to Booderee National Park and a range of beautiful beaches. Paperbark Camp offers a choice of 12 unique yet comfortable Original and Deluxe Safari Tents. Original Safari Tent: Bedding is 1 Queen Bed OR 2 Single Beds or 1 Double Sofa Bed. Deluxe Safari Tent: Bedding is 1 Queen Bed OR 2 Single Beds. The Gunyah Restaurant: Open daily for dinner as well as for use throughout the day, the restaurant features a modern European menu sourced from fresh locally grown seasonal produce.